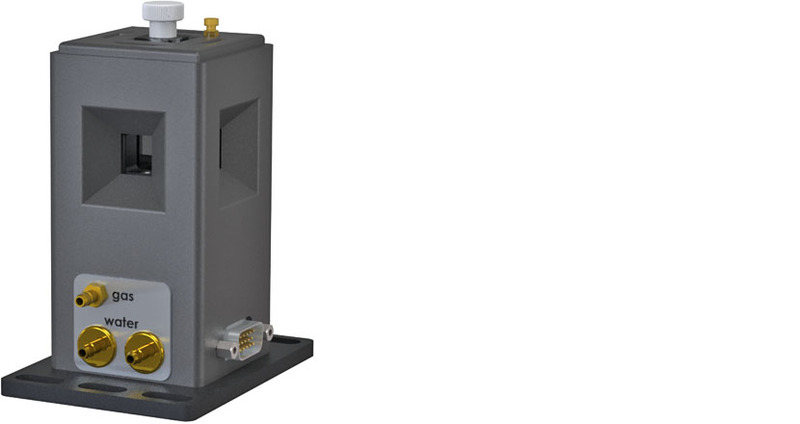 Originally designed for pulsed-laser photoacoustics, the Flash 300 is ideal for your most creative laser spectroscopy experiments. Use it for flash photolysis, photochemistry, fluorescence, Raman spectroscopy or something that has never been tried before. 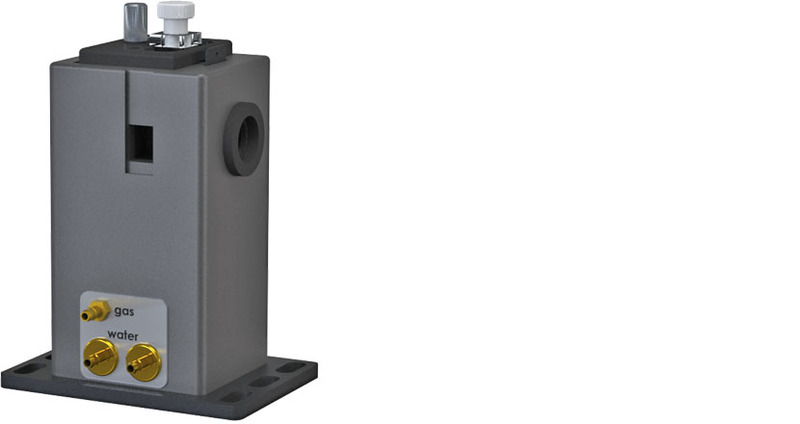 Use it for biological solutions in water or purchase a windowed jacket and use it at temperatures down to -40 C. Purchase the extended temperature version and go lower than -40 C or all the way up to +150 C. The Flash 300 has four optical ports and a flattened temperature-controlled tower permitting collimated beams to pass through the long dimension, while maximizing the aperture for excitation or light collection at 90 degrees. 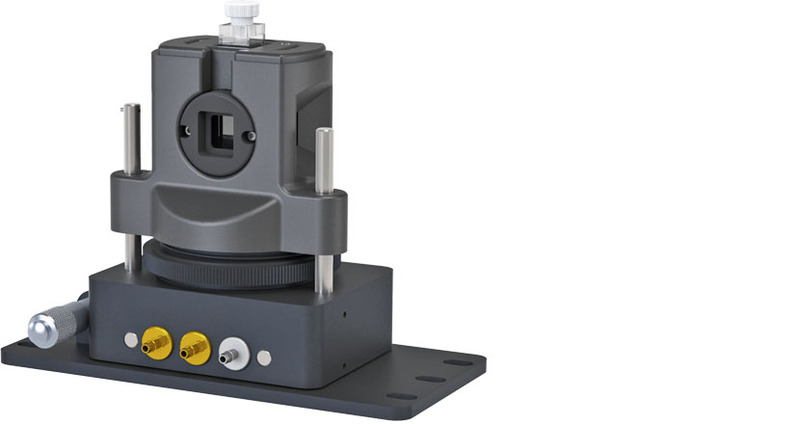 A removable plug on one side of the tower provides easy access all the way in to the cuvette surface for mounting transducers or focusing light through objective lenses. Use a vertical adjustment to match the height of your laser. 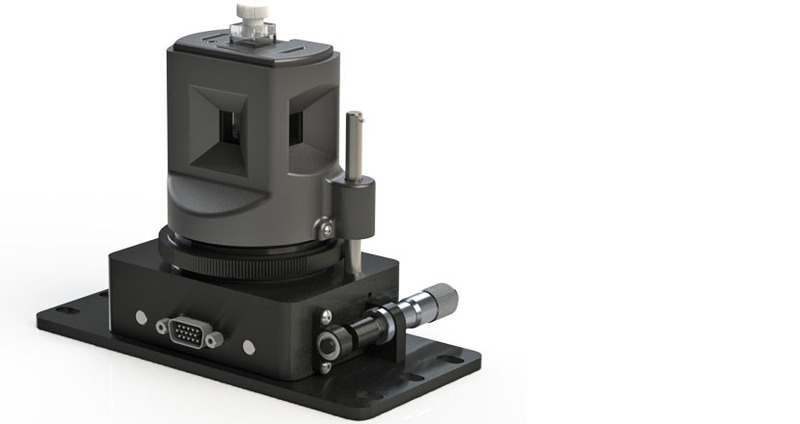 Focus your light and then use a micrometer-driven horizontal adjustment to move the entire tower back and forth to optimize the laser position in the sample. Control the Flash 300 using the menu button on the front of the TC 1/Single Temperature Controller or program temperature changes with Quantum Northwest’s program T-App. Use simple text instructions and program your entire experiment yourself through the USB or RS232 interface.